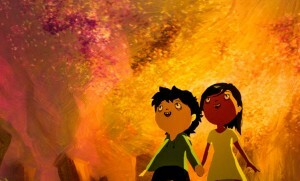 In its 10th consecutive year, the Providence Children’s Film Festival, February 15-24, offers 27 different feature films and short film packages at a number of venues throughout the city, including the Avon Cinema, the Gilder Center for the Arts, the Metcalf Auditorium, the Woodman Center at Moses Brown, the Providence Athenæum and the RISD Auditorium, as well as some satellite programs at the Newport Art Museum and libraries including Prairie Avenue, Washington Park, Wanskuk and Barrington Public. The festival provides suggested age ranges for films in four categories: “all ages” (for age 6 or “mature kindergartner” and up, according to programming director Eric Bilodeau), 8-plus, 10-plus, and 13-plus. Some of the films appropriate for older children deal with sensitive topics such as homelessness, abandonment, bereavement and domestic violence, but the festival website provides clear guidance about such matters along with age ranges. 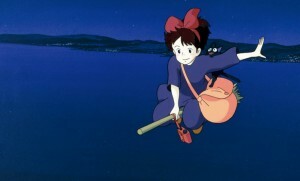 Bilodeau emphasized that seeing films on a big screen together is an experience for parents and children very different from watching on a tablet or even in a living room, especially the lush and colorful animation of the universally acclaimed Japanese classic Kiki’s Delivery Service (all ages) by director Hayao Miyazaki, screening at the festival on its 30th anniversary. Bilodeau expressed disappointment that Likarion Wainaina, the director of Supa Modo (10-plus), is unable to attend the festival because the US suspended issuing Kenyan visas for several weeks as a result of the deadly Jan 15 terrorist attack in Nairobi. Bilodeau said it was “filmed in Kenya and chosen to be Kenya’s official Oscar entry for Best Foreign Film. I am very proud to have this amazing film be in our line-up this year. 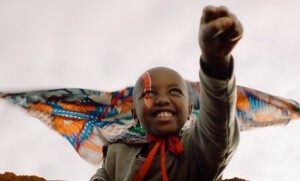 I challenge anyone to simply sum [up] this (or most any other film in the festival) as a ‘children’s film.’” When the 9 year-old protagonist, played by Stycie Waweru in her first film role, is diagnosed with a terminal illness, her entire village pulls together to make her into the superhero she dreams of being. 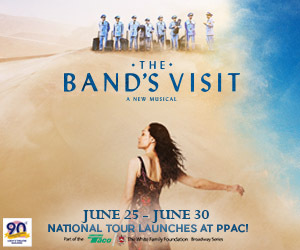 PCFF is collaborating with the Make-a-Wish Foundation in a program they call “Reel Connections,” Bilodeau said. Another Kenyan film, Rafiki (13-plus) by director Wanuri Kahiu, has been banned there, according to Bilodeau, because of its theme of a lesbian relationship between two older teenaged girls. The animated Tito and the Birds (10-plus) by co-directors Gustavo Steinberg, Gabriel Bitar, and André Catoto from Brazil is about a “fictitious land [where] there is a new president that understands the power of fear,” Bilodeau said, eerily presaging the real-life rise of newly elected President Jair Bolsonaro who endorsed torture, opposed gay rights, opposed rights of indigenous people and opposed environmental protection. The festival celebrates its 10th anniversary with A Decade of Wonder (8-plus), which Bilodeau described a reel “of some of the most popular short films that we have shown over the past ten years. It’s a great way to walk down memory lane if you have attended many of our festivals in the past.” Filmmakers Max Porter and Ru Kawahata, who have three films in the reel (including one nominated for an Academy Award), are scheduled to attend the Feb 24 screening.